Comes with 2 Forms for submitting a Product Question or Support Question ready to use in your store, and as example to create your own forms. For a full documentation and also overview on the full set of functions for EuVat for Magento, please visit our Online Documentation of this Extension. 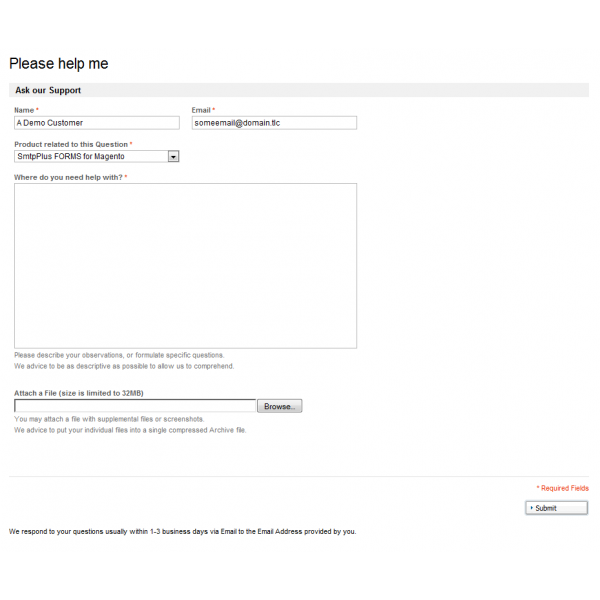 This release also adds the ability to use multiple select option fields in forms. Please see the related documentation here on how to prepare the installation for use with such fields. This is a regular maintenance release, maintained for Magento 1.5.0.1 and above. This is a regular maintenance release, maintained for Magento 1.6.0.1 and above. This is a release maintained for the Magento Version Branch 1.7 (CE) and 1.12 (EE). This is a regular maintenance release for SmtpPlus FORMS and use on Magento 1.3.2.4 or above. This is a regular maintenance release for SmtpPlus FORMS and for use on Magento 1.3.2.4 only. Please update to the version for Magento 1.4.0.x of this extension if you update your store to the new Magento release. This is the initial release of SmtpPlus Forms. 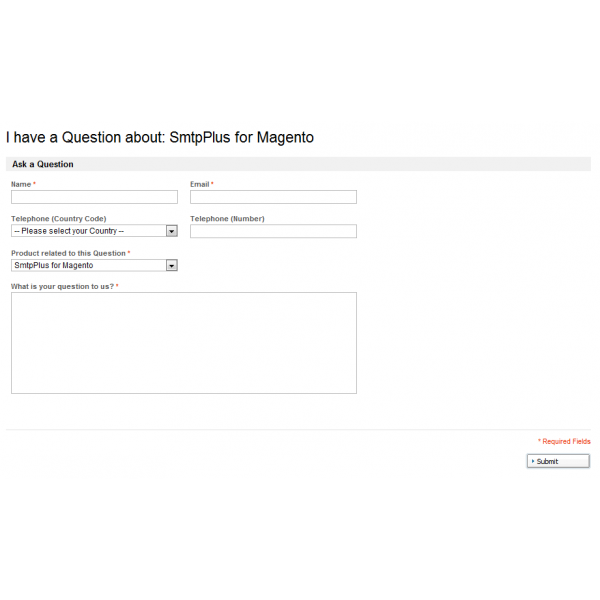 This is a regular maintenance release for SmtpPlus FORMS and use on Magento 1.4.0.x or above. This update addresses some issues occurring when using the extension on Magento 1.4.2.